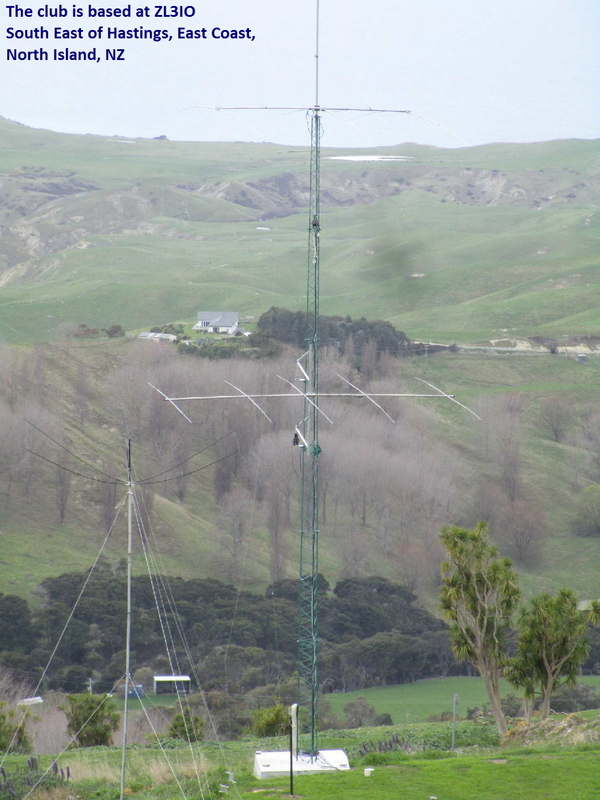 Holger’s QTH (Kiwi DX Lodge) is at Waimarama, not far from Havelock North and Hastings in Hawkes Bay. The site has a fabulous takeoff over steeply sloping ground down to the Pacific to our East. That gives us a clear path to the Americas, North and South, plus Africa and Europe long path, and short path to Northern Europe, JA and most of Asia. However, the hilltop looms about 50m above us to the West, blocking us to the West through South quadrant. Holger plans to put antennas up on the hilltop to cover Africa short path and Americas long path. It’s a very windy exposed site, 320m ASL, so antenna maintenance is a constant chore. We mostly use Elecraft gear: K3’s, KPA500s plus other bits-n-pieces from time-to-time. Holger is a whizz with the interlocks and semi-automated antenna switching to make multi-transmitter contesting easier.